With the rise of Airbnb and changing traveler expectations, the hospitality industry must face upcoming challenges head on if the sector is to continue to grow into 2018 and beyond. According to the U.S. Travel Association, over 75 million international travelers visited the U.S. in 2016, and that number is expected to hit over 83 million by 2020. The U.S. is also the number one destination in the world for long-distance flights, with one of the largest groups of travelers flying out of Dubai International Airport. 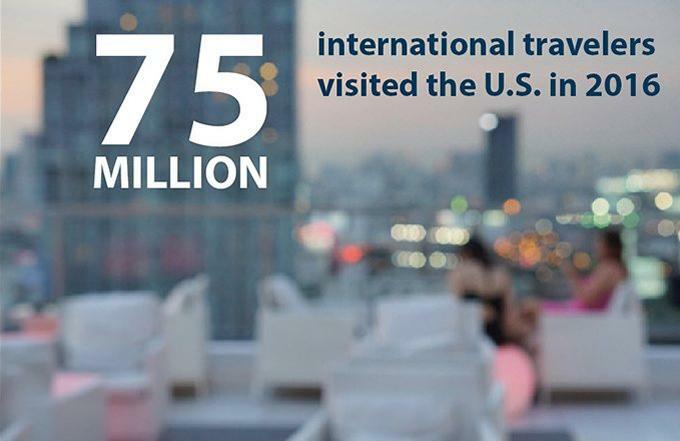 As the number of international travelers visiting the U.S. continues to grow over the next three years, the hotel and lodging industry must focus on providing a unique experience for both foreign as well as domestic visitors. Staff must be aware of cultural differences and differing expectations international visitors might have. Hiring employees who can speak multiple languages, as well as offering services and information in multiple languages will be essential for hotels hoping to attract foreign clientele. Google recently developed a pair of earbuds that could help put hotels ahead in this area. The Google Pixel Buds are a pair of wireless headphones that automatically translate 40 languages in real time. The development of this kind of user-friendly translation technology could be a game changer for the hospitality industry. Although hotel and lodging has been slower to adopt new tech trends than other industries, the past few years have seen an increase in tech solutions in the travel sector. But some of those technologies have been far from successful. Over the past few years, hotels have begun to implement tablet kiosks for faster, mobile check ins, according to an industry report by Deloitte. But unlike at airports, travelers are still looking for a personalized welcome at hotels, leaving the mobile kiosks gathering dust. As tech and SaaS solutions continue to drive growth for every industry in the coming years, it’s vital that the travel sector identifies solutions that will add real value to their businesses. This will be a challenging feat for hospitality as SaaS solutions become more industry specific. 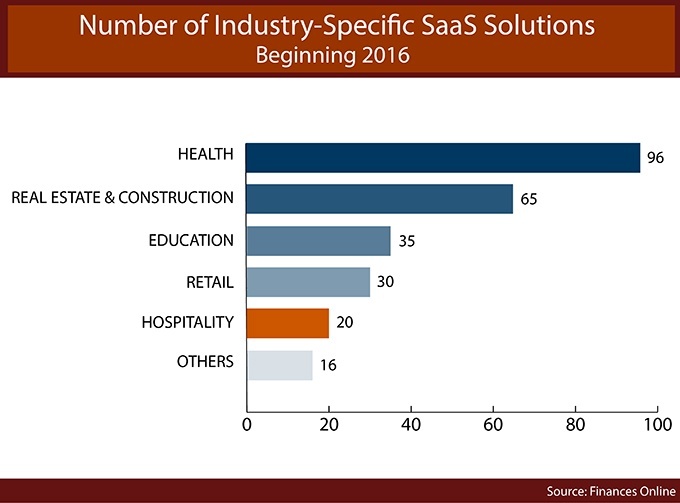 According to a SaaS industry market report by Finances Online, there were only 20 SaaS companies in 2016 that create tech solutions specifically for the hospitality industry, compared to 65 for real estate and construction and 96 for health. The lack of hospitality-specific technology and software solutions doesn’t mean hotels should shy away from SaaS. Instead, companies should consider solutions that help improve employee engagement and workforce productivity, rather than going after seemingly innovative trends, like untouched mobile kiosks. As the growth and success of the travel sector fluctuates depending on the state of both local and global economies, maintaining adequate staffing levels will become increasingly important over the coming years. According to the Bureau of Labor, the leisure and hospitality sector employed over 15,000 people in 2016, and that number is projected to jump to almost 17,000 by 2026. As the industry continues to grow, attracting and retaining top talent should be a top priority for companies trying to edge out the competition. But employee retention is a challenge, regardless of industry. According to Talent Management and HR, one third of employees quit their jobs after only six months, whereas 45 percent of referred employees stay an average of two years. If the hospitality industry wants to retain top talent in the coming years, they must focus on referral-based hires and adopting processes that help boost employee morale and productivity, like work schedule mobile apps or incentive programs. Consumers have grown accustomed to personal and streamlined shopping experiences, whether it be a free coffee on their birthday or next-day delivery for online purchases. This means that good, clean design is no longer enough for hotels to get ahead. The digital age has also led to an increased desire for more personalized travel experiences. But capitalizing on this trend has been a challenge for the hotel and lodging industry over the past few years. 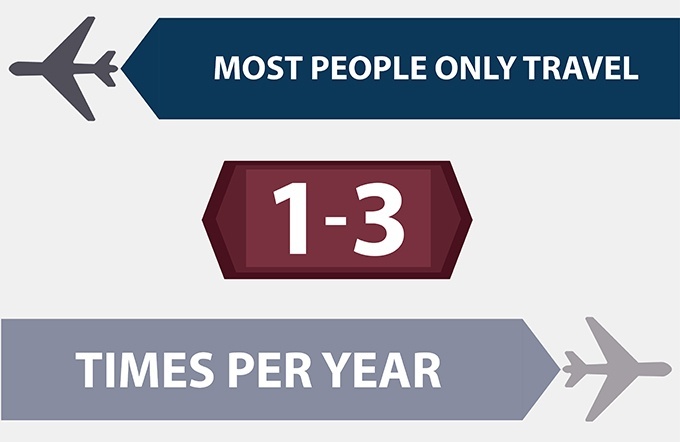 Most people travel infrequently - between one and three times per year - which doesn’t give hotels many opportunities to learn about their customers, and even fewer opportunities to bring them back for another stay. People who do travel more than once a year usually do so for different reasons, and traveler expectations differ depending on if they’re traveling for a family vacation or a work trip. Hotels will have to continue to set themselves apart through unique design, locally-sourced food and drinks and ‘shareable’ tours and activities that generate social media traffic - if they want to be memorable enough for travelers to book another stay. The explosion of companies like Airbnb have also changed travelers’ expectations when it comes to lodging. Accommodation rental websites have shifted traveler mindsets from wanting a standard hotel room to wanting a homier experience. The competitive pricing also creates concern for traditional hotels and lodges. 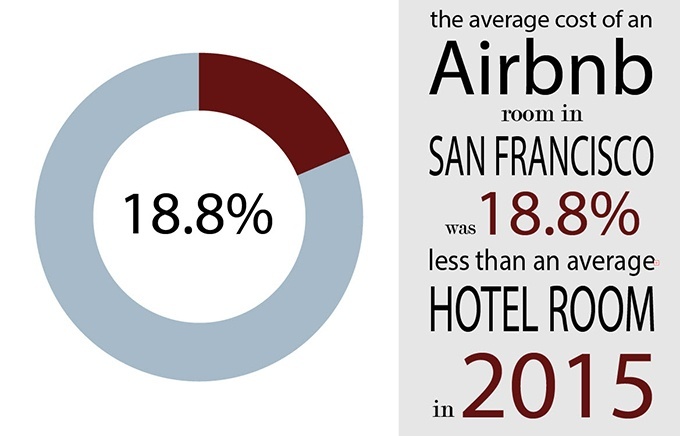 According to Statista, the average cost of an Airbnb room in San Francisco was 18.8 percent less than the cost of an average hotel room in 2015. But Airbnb has also experienced its fair-share of scandals since its launch in 2008, from theft to property damage to inappropriate host behavior. This leaves traditional lodging companies with an opportunity to learn from Airbnb’s mistakes as well as its successes. In order to stay competitive, traditional hotels and lodges must continue to offer competitively priced rooms, as well as more personalized amenities and experiences that make visitors feel at home. They must also continue to update security and safety policies to make travelers feel secure in their booking decisions. There are challenges ahead for the hospitality sector, but there’s also room for growth. As traditional hotels, lodges and resorts begin to better understand their clientele and implement tech solutions that save on labor cost and streamline workflows, the industry will reach new heights.